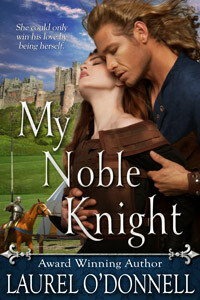 My medieval Elemental Series is also paranormal and was a lot of fun to write. 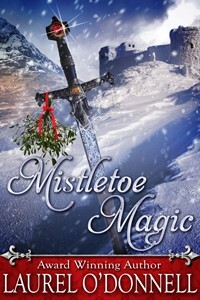 Four women who are elementals and also friends have been separated through the years and one by one reunite. 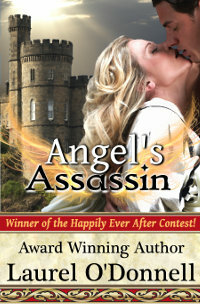 Each of the women have fae and well as human blood running through their veins. This gives them each some special powers which of course brings intrigue as well as tension between them and their heroes. 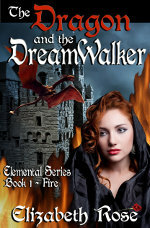 For example, in The Dragon and the Dreamwalker, Book 1: Fire – we meet Brynn-Riletta, an elemental who gets her strength from fire, but water is her weakness and can kill her. She has the ability to not only bring forth fire at her command, but to leave her body in her sleeping state and dreamwalk. 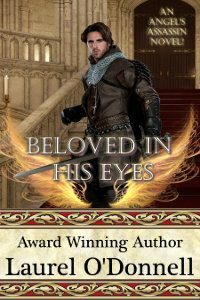 This makes for some very interesting out-of-body love scenes with Brynn and Drake Pendragon, the infamous warrior who is known throughout the land. 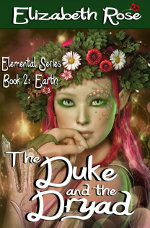 In The Duke and the Dryad, Book 2: Earth – we are introduced to Rae-Nyst, an elemental who gets her strength from the earth, but fire is what can destroy her. She has all the elements of nature at her command and can also move things with her mind. However, since she is part human this latter ability is unstable. 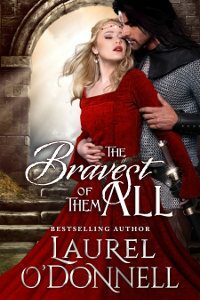 She is taken by Duke the Destroyer, Odwolfe, ‘Wolfe’ of Manterra and brought back as his servant after the druids sacrifice his prize bull. 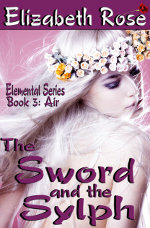 The Sword and the Sylph, Book 3: Air – finds us with Portia-Maer, an elemental who can control the elements of air and the weather with a mere flick of her wrist, but being trapped within the earth is what can steal her power and energy from her. She also has the ability to turn invisible and heal with just a kiss. 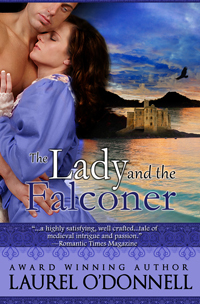 When Sir Braden is sent to catch a spy that just happens to be her, two sides come into battle and decisions between love and loyalty must be made. The last book in the series, The Sheik and the Siren, Book 4: Water – finds the hero and son of a sheik, Lord Asad, or Ace, tied to the mast of his ship sailing through Death’s Door trying to be the only man to ever hear the song of the siren and live to tell about it. 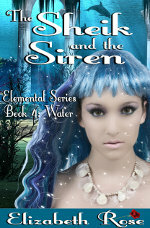 And our heroine, Ebba-Tyne is an elemental of the water and can command the sea and all within it. However, the hot dessert air is what can take her life. Ebba also has the ability to read minds and can communicate with the dolphins by mind power alone. And when she finds herself in the land of sand and sheiks, her very life is threatened. 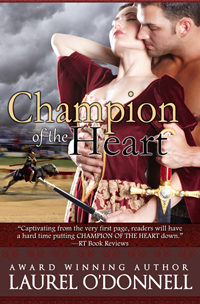 Each of the women in this series is strong and independent and of course feisty, like all my heroines. And the heroes of the series are dark and dangerous and of course tortured whether it be physically or mentally, as I always like to give them a challenge. I hope you enjoy my Elemental Series as much as I enjoyed creating it. 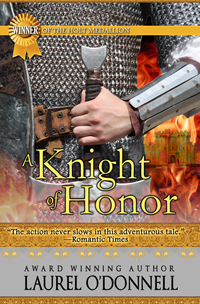 Get lost in the magic and passion of unique heroines, and heroes who are out to redeem themselves in these medieval times. 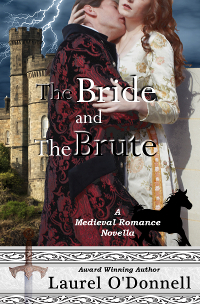 You can read sample excerpts from each book right here on Medieval Romances, as well as find links to purchase them on Amazon and Smashwords. Smashwords is having their annual summer sale celebration! 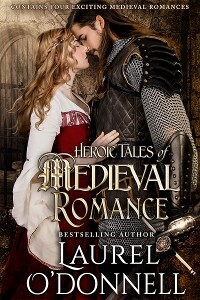 You can save 25% on all of Laurel O’Donnell’s medieval romance novels. Use the code SSW25 at checkout (Offer good thru July 31, 2013). 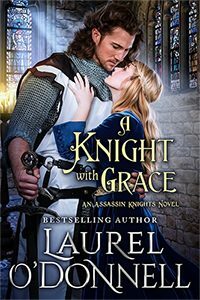 Visit Laurel O’Donnell’s author page on Smashwords, then scroll down to find her medieval romance novels.